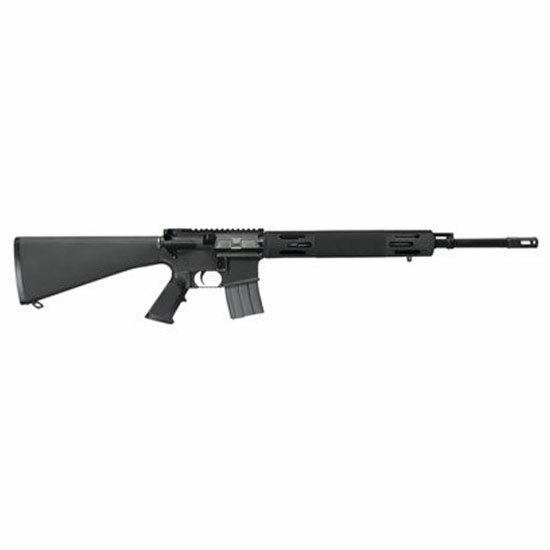 Bushmaster 90431 Hunter Carbine Semi-Automatic 450 Bushmaster 20 5+1 A2 Black Stk Black in. Bushmasters Hunter Carbine rifle offers the big game hunter AR speed and accuracy. The powerful 450 Bushmaster cartridge developed in affiliation with Hornady is tamed by the ARtype gas operating system so recoil is reduced to a heavy thump and second shot control is retained. It has a freefloating vented aluminum forend. The upper and lower receivers are machined from a MilSpec aluminum forging. Standard ARtype 30round magazines are fitted with a blue single stack follower to yield a magazine capacity of five rounds. The 450 Bushmaster ships with one 5round magazine and a black web sling.This model has a 20 barrel."